Two Michelin star celebrity chef, John Burton-Race, is to set sail aboard a luxury river cruise ship as guest chef for an exclusive group this September. 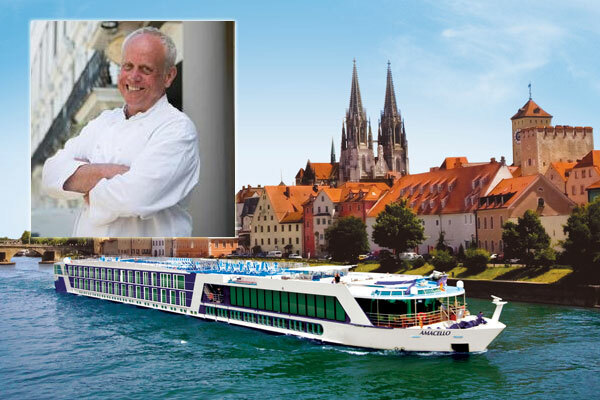 Burton-Race is to partner with Go Cruise and AmaWaterways to provide his amazing flair and cooking skills to 20 exclusive guests. Burton-Race will be holding a presentation and Q&A session for the exclusive guests at the cruise’s Chef’s Table restaurant about his career and passion for food. He will also be holding cooking demonstrations in the Chef’s Table restaurant for the exclusive group and will be taking them off ship in Avignon to shop at the local market and buy local ingredients to be part of a culinary discussion when they return to the ship. The chef will also be overseeing the cooking of a regional six-course tasting menu he has created, and along with the group will travel on guided excursions to a Truffle Farm and an Olive Farm. The cruise departs from Arles on Sept. 26 and meanders up the Rhône to Lyon. Only 20 places are on offer and they can only be booked through Go Cruise via e-mail at stephenandmichaela@gocruise.co.uk.